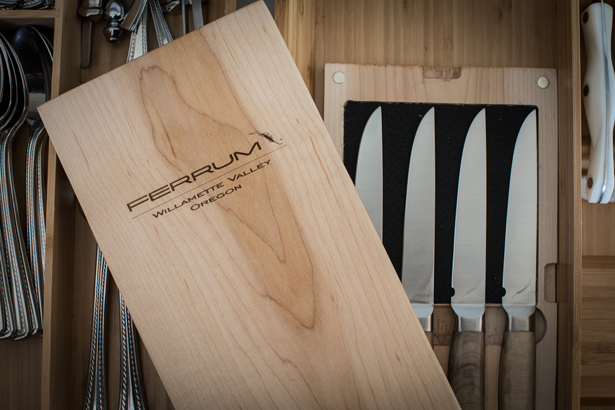 This steak knife from the Ferrum Estate collection will cut steak beautifully and look great on your table. 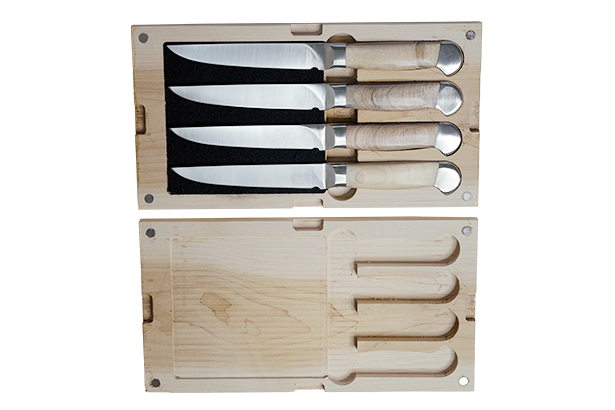 Guests will be impressed by both the looks and the performance of your steak knives. The blade is forged from powdered metal for greater density and purity, with 61 Rockwell hardness for exceptional edge retention. 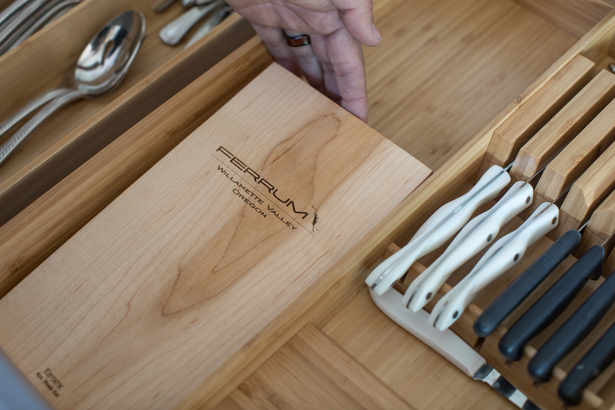 The finished blade is hand-sharpened to a 16-degree cutting angle, with a convex “apple seed” edge. 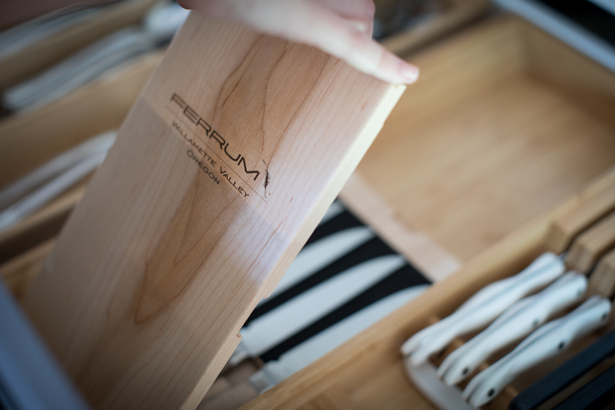 Because of Ferrum’s unique manufacturing process, the blade is less brittle and easier to sharpen than others of comparable hardness.